Protecting What Matters Most: 4 days for Operations, Control Systems and IT Security professionals to connect on SCADA, DCS PLC and field controller cyber security. 2019 Call for Presentations Now Open! 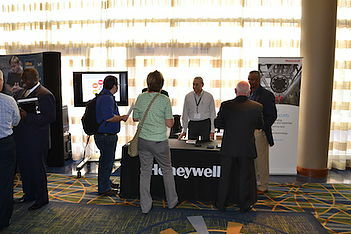 SecurityWeek’s ICS Cyber Security Conference is the conference where ICS users, ICS vendors, system security providers and government representatives meet to discuss the latest cyber-incidents, analyze their causes and cooperate on solutions. Since its first edition in 2002, the conference has attracted a continually rising interest as both the stakes of critical infrastructure protection and the distinctiveness of securing ICSs become increasingly apparent. Claroty’s mission is to secure and optimize the industrial control networks that run the world. The company’s platform enables customers to enjoy the substantial benefits of increasingly networked control systems without compromising operational resiliency or the security of core assets. The Claroty Platform provides extreme visibility into the widest range of ICS, SCADA and other control system devices, protocols and networks using passive monitoring techniques to safely examine and analyze OT networks. The system employs real-time monitoring, high-fidelity models and advanced analytics to detect anomalies and to rapidly alert organizations to security and process integrity issues. The platform is powered by the Claroty Research; an OT cybersecurity research team with members from an elite cyber unit of the Israeli Defense Force. Splunk Inc. (NASDAQ: SPLK) turns machine data into answers. Organizations use market leading Splunk solutions with machine learning to discover their “aha” moments with machine data and solve their toughest IT, Internet of Things and security challenges. Use Splunk software in the cloud and on-premises to improve service levels, reduce operations costs, mitigate security risks, enable compliance, enhance DevOps collaboration and create new product and service offerings. Join millions of passionate users by trying Splunk software for free. Nozomi Networks delivers a solution for real-time visibility to manage cyber risk and improve resilience for industrial operations. With one solution, customers gain advanced cyber security, improved operational reliability and easy IT/OT integration. Innovating the use of artificial intelligence, the company helps the largest industrial facilities around the world See and Secure™ their critical industrial control networks. Today Nozomi Networks supports over a quarter of a million devices in sectors such as critical infrastructure, energy, manufacturing, mining, transportation and utilities, making it possible to tackle escalating cyber risks to operational networks. Radiflow is a leading provider of cyber security solutions for Industrial Control Systems (ICS). Radiflow’s solutions empower operators of Industrial IoT automation systems to maintain visibility and control of their operational networks. Radiflow’s line of security solutions were designed especially for ICS systems, overcoming the shortcomings of traditional industrial applications in industrial ICS settings. Tripwire is a provider of security, compliance and IT operations solutions for enterprises, industrial organizations, service providers and government agencies. Tripwire solutions are based on high-fidelity asset visibility and deep endpoint intelligence combined with business context; together these solutions integrate and automate security and IT operations. Tripwire’s portfolio of enterprise-class solutions includes configuration and policy management, file integrity monitoring, vulnerability management, log management, and reporting and analytics. A pioneer of Industrial Internet cybersecurity, Sentryo enables organizations to ensure the availability, resilience and safety of their industrial systems while fighting against cyberattacks. The Sentryo solution, ICS CyberVision, is a network monitoring platform which detects any intrusion and anomaly and provides visibility, integrity and security for industrial control systems. ICS CyberVision is successfully deployed in the energy, manufacturing and transportation business sectors. Sentryo is headquartered in Lyon and has a worldwide presence including offices and partners in Europe, North and South America and Asia. The Irdeto Cloakware suite of products enables brands and developers to protect their platform against reverse engineering, tampering and automated attacks. Irdeto’s techniques protect software through function and control flow transformation, anti-debug, whitebox cryptography, integrity verification, diversity and self-healing code. Irdeto’s Cloakware solutions provide a highly effective, multi-layered, renewable and tunable approach to software protection that is future-proof and relies on 20 years of proven cybersecurity success. Irdeto’s Cloakware cybersecurity technology, products and solutions include Secure Environment, Software Protection, Keys & Credentials and Security Services. Cloakware for IoT – Protects IoT applications, connected devices and data in transit, keeping hackers and cybercriminals out of their products. Mocana provides comprehensive and compliant cybersecurity solutions to protect more than 100 million mission-critical IoT devices and industrial supply chains. Our solutions simplify the integration of security with an easy-to-use development framework that operates across complex, multi-vendor environments where reliability and security are mission-critical. Mocana is trusted by the largest aerospace, industrial, transportation, energy, healthcare, and communications companies. IBM Security, with 8,000 professionals in 133 countries, is able to deliver, update or augment any or all components of a security program depending on the maturity of our clients current environments. IBM has invested more than $2 billion on research and development, resulting in 3,700+ security related patents and the acquisition of 20+ companies. This allows us to provide an unequaled portfolio of products and services and integrations with a thriving ecosystem of all the leading security vendors. Today, IBM Security addresses the evolving security landscape and provides 17,000 clients with anything from the basic fundamentals through to leading orchestration and AI innovations, for on prem, cloud, hybrid and IoT infrastructures. Leidos Cyber is a commercial OT and IT critical infrastructure security leader. With a decade of experience our OT security and managed security services offerings are deployed in over 400 infrastructure companies in 25 countries and within the top tier of the FORTUNE 500®. Securicon combines a seasoned, knowledgeable technical staff with sound, tested methodologies and comprehensive strategies — and an ability to balance information and operational security needs with business and other functional requirements. The driving force behind our success is our cadre of highly qualified and experienced IT and OT security engineering professionals. Dedicated to constantly refining and expanding its skills, the Securicon Team has decades of combined experience in system administration, network engineering, industrial control system assessments, application and operating system programming, penetration testing, vulnerability assessments, security and network architecture design, security policy development, incident response and forensics. Skybox arms security leaders with the broadest set of solutions for cybersecurity management. By integrating with more than 120 networking and security technologies, the Skybox™ Security Suite provides the context needed for informed and timely action, combining attack vector analytics and advanced threat intelligence to continuously analyze vulnerabilities in your environment and correlate them with exploits in the wild. This gives the insight needed to improve and automate security operations in vulnerability and threat management and firewall and security policy management in physical, virtual and cloud environments. At Inductive Automation, our mission is to create industrial software that empowers our customers to swiftly turn great ideas into reality by removing all technological and economic obstacles. By cross-pollinating IT with SCADA technologies, we created Ignition software, the first universal industrial automation platform with unlimited potential for SCADA, IIoT, and MES applications. Today, Ignition is empowering industrial organizations around the world and in virtually every industry with the industry’s best software tools and support. Dragos applies expert human intelligence and threat behavior analytics to redefine ICS cybersecurity. Its ICS cybersecurity ecosystem provides industrial security practitioners with unprecedented situational awareness over their environments, with threat intelligence, detection, and response capabilities. Dragos’ solutions include: the Dragos Platform, software providing ICS-specific asset discovery, threat detection, and investigation capabilities; Dragos Threat Operations Center, providing ICS threat hunting, incident response services, and ICS cybersecurity training; and Dragos ICS WorldView, providing global, ICS-specific threat intelligence in the form of weekly reports and critical alerts upon discovery. Founded in 1993, PAS is a leading provider of software solutions for ICS cybersecurity, process safety, and asset reliability to the energy, process, and power industries worldwide. PAS solutions include industrial control system cybersecurity, automation asset management, IPL assurance, alarm management, high performance HMI™, boundary management, and control loop performance optimization. PAS solutions are installed in over 1,380 facilities worldwide in more than 70 countries. PAS was recently named the #1 Global Provider of Safety Lifecycle Management by ARC Advisory Group including #1 rankings within Chemical, Power Generation, Refining, and Oil & Gas. Indegy, the leader in industrial cyber security, secures against operational disruptions caused by Cyber Threats, Malicious Insiders and Human Error. Indegy enables organizations to reduce risk and ensure operational safety, continuity and reliability, by providing real-time visibility and control for industrial control networks (ICS), industrial automation controllers (PLCs, RTUs, DCS) and the processes. The Indegy platform delivers unparalleled visibility into ICS networks to identify threats, anomalies and unauthorised access to critical assets. It maintains a comprehensive asset inventory and captures all changes to these assets, whether performed by malware or human, and whether authorized or not, including activities executed via proprietary control-plane protocols. The company has been named a Gartner “Cool Vendor” and received worldwide recognition for its innovative platform. LEO’s team of cyber trailblazers and creative practitioners have the deep experience and operational knowledge to help our customers combat the cyber skills gap. 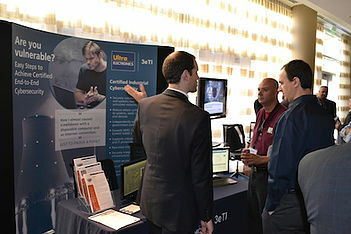 Cyberbit is the world-leading provider of cyber ranges for cybersecurity training and simulation. Cyberbit is also the first to provide a consolidated threat detection and response platform that includes: security automation, orchestration and response (SOAR), ICS/SCADA security (OT security), and endpoint detection and response (EDR) powered by behavioral analysis. This unique platform provides consolidated detection and response protecting an organization’s entire attack surface across IT, OT and IoT networks. Since founded in mid-2015 Cyberbit’s products are rapidly adopted by enterprises, governments, higher education institutions and MSSPs. Cyberbit’s investors include Elbit Systems (NASDAQ: ESLT) and Claridge Israel. Cyberbit has offices in Israel, the US, Europe, and Asia. Darktrace Industrial is the world’s leading machine learning company for cyber defense. Created by mathematicians from the University of Cambridge, Darktrace’s Industrial Immune System technology uses AI algorithms that mimic the human immune system to defend industrial networks of all types and sizes. In an era where OT and IT are increasingly converging, Darktrace’s technology is uniquely positioned to provide full coverage of both enterprise and industrial environments. By applying advanced machine learning and AI, Darktrace Industrial defends Critical Infrastructure across the world, and is relied upon by leading energy providers, utility companies and manufactures to secure their ICS and SCADA environments. Palo Alto Networks® offers the Next-Generation Security Operating Platform, which safely enables Operational Technology modernization, while supporting its specific application, performance, availability and robustness requirements. It can be applied across the different levels of a “smart” OT facility in both controlled and harsh environments to provide granular ICS traffic visibility, serve as a conduit to enforce a Zero Trust policy, and secure the network and endpoints from advanced threats. Learn more about our platform at our microsite on “Cybersafely Enabling OT Modernization“. Energy CIO Insights cumulates the latest technology, opinions, analyses, and discussion on the most predominant issues in the field of energy. Energy CIO Insights acts as a window for key decision makers, shedding light on the wide array of technology applications to choose from, the appropriate solutions and services for enhanced efficiency, and taking their business to new heights. The Energy CIO Insights is a technology magazine with a readership of 42000 qualified subscribers across the U.S. Moreover, 80% of our subscribers are CEOs, CIOs, CTOs, Senior IT management, Directors, Energy professionals, Safety managers and Project managers. . 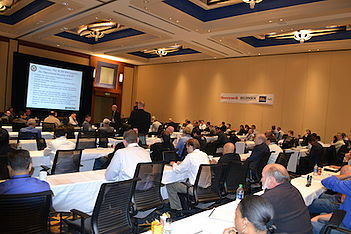 Subscribe to stay up to date on ICS Cyber Security Conference events. 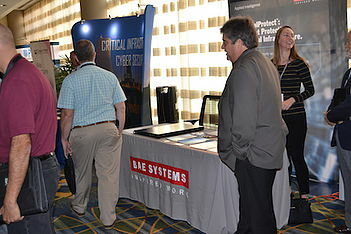 As the largest and longest-running cyber security-focused conference for the industrial control systems sector, the event caters to the energy, utility, chemical, transportation, manufacturing, and other industrial and critical infrastructure organizations, including the military. The conference will address topics covering ICSs, including protection for SCADA systems, plant control systems, engineering workstations, substation equipment, programmable logic controllers (PLCs), and other field control system devices.